A New BMW S 1000 RR For 2019? The BMW S 1000 RR. 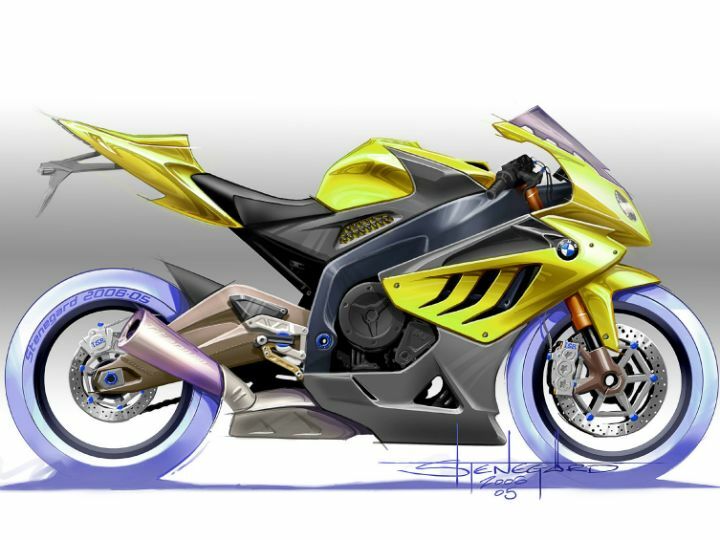 What started out as a sketch in BMW Motorrad’s design centre soon became one of the most sought-after and successful superbikes amongst today's competition. Ever since it was launched back in 2008, it proved to be a technological marvel compared to other superbikes, with factory fitted equipment such as ABS, dynamic traction control, 3 power modes (Wet, Sport and Race) and an additional ‘Slick’ mode available as an optional extra. Additionally, the 999cc, inline-four, liquid-cooled engine was one of the best motors in the market. The S 1000 RR then, delivered in spades! BMW has constantly strived to update the S 1000 RR over the years, to keep it tech-laden enough to rank amongst the best litre-class superbikes money can buy. Cut to 2018 and companies have caught up, with manufacturers geeking out on packing their top-of-the-line superbikes with tech borrowed directly from their MotoGP counterparts. Exhibit A, the Aprilia RSV4. Hence, the German manufacturer had to pull up its socks and work on a brand new variant for the year to come. It’s no surprise then that there is a new BMW S 1000 RR under development, but it’s still news everyone was waiting for. We’ve already caught a glimpse of the new version making its rounds on roads overseas; however, not everyone agreed with the design. And maybe, just maybe, the Bavarian company decided to go back to the drawing board and make some much-needed changes. Which may explain why the bike hasn’t been launched yet. We could also speculate that BMW, being a thoroughbred German, wants to get everything right with pinpoint accuracy. Anyway, let's cut to the chase. In a recent interview with GPOne, Althea Racing’s bossman Genesio Bevilacqua confirmed that there indeed is a new S 1000 RR in the works, which may be revealed before the start of the 2019 World Superbike Championship season. It gives us an idea of the first public preview of the next iteration, to be held at EICMA in Milan this November or as early as INTERMOT in October 2018. There’s also news that the new S 1000 RR will use a counter-rotating crankshaft, much like the Ducati Panigale V4. What on earth is a ‘counter-rotation shaft’, you ask? Borrowed directly from MotoGP tech, a reverse rotating crank is essentially a shaft rotating in the opposite direction to the wheels. As a result, the gyroscopic effect of the wheels is negated by the reverse rotating crank, which makes the bike more agile and nimble (As if the S 1000 RR wasn't already). Other than that we can also expect otherworldly electronics to be stuffed into the bike and a sizable power bump from its sweet sounding inline-four engine. Unfortunately, we’ll have to wait until October or November this year for the complete reveal. So, watch this space for more.